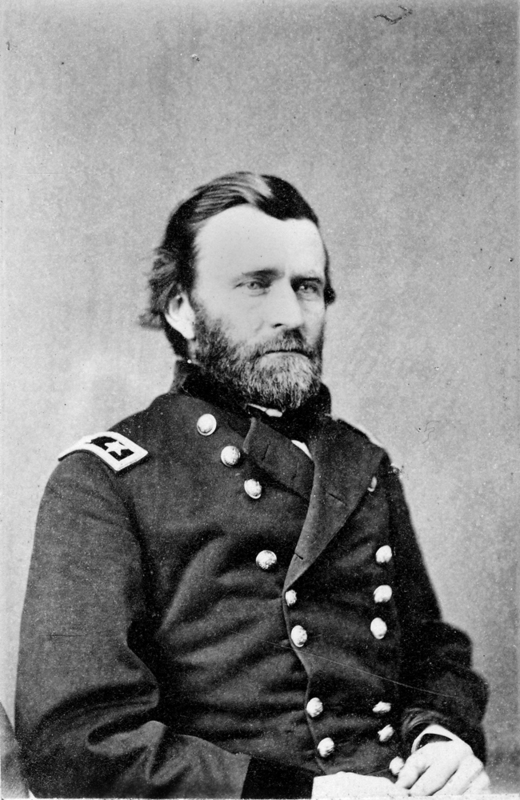 Upon graduating from West Point in 1843, U.S. Grant was assigned to Jefferson Barracks, near St. Louis. There he married Julia Dent, whose family estate, White Haven, was nearby. He left the army in 1854 to work his wife’s farm, which he called “Hard Scrabble.” He left after four years to open a real-estate agency in St. Louis. Appointed brigadier general by President Lincoln early in the Civil War, Grant captured Forts Donelson and Henry in February 1862. After further successes he was named commander of the Union army, which he led to victory. He became the 18th president of the United States in 1869. The National Park Service The park commemorates the life, military career, and Presidency of Ulysses S. Grant, as well as his wife, Julia Dent Grant. The White House Documents the biography of Ulysses S. Grant as well as his first and second inaugural address and famous quotes. Jerry Schober, National Parks Service for White Haven (Grant's Farm), accepted the award on behalf of Mr. Grant.